The Fire Watchtower is being returned to its original site which required the area of the Acropolis to be excavated. When the Acropolis was built, 2′ of the tower was buried and a stone wall was built around it. The Landscape plan shows the East facing stone wall removed allowing for greater visibility and an extended lawn area. The first phase of the Fire Watchtower restoration, began December 2014, when the tower was encased in scaffolding. A cast iron column from the fire watchtower before being crated. The bell being lowered into a crate for transport to the storage facility in Fort Totten. The piece by piece dismantling of the tower was completed April of 2015. All pieces were put into storage before being sent to a casting facility. Design adjustments and extensive testing of each piece was undertaken before being sent to a foundry for restoration. A majority of the pieces needed to be recast. 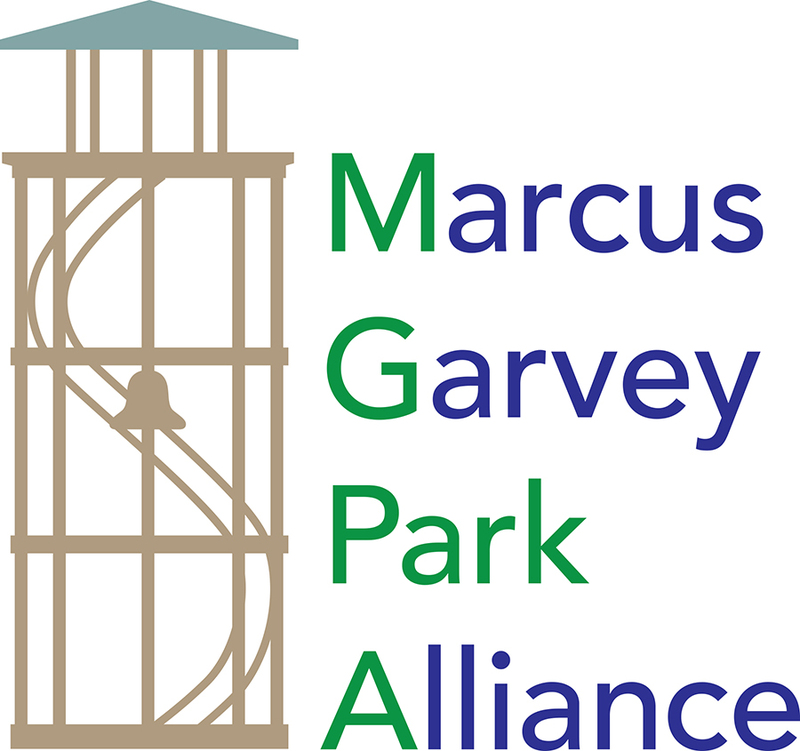 The Marcus Garvey Park Alliance and Gothamtogo are working together to document the return of the fire watchtower. The image above courtesy of a Gothamtogo reader is taken from a nearby building. Getting ready for the installation of the fully restored fire watchtower, contractor Nicholson and Gallaway have erected scaffolding at the installation site and have been on site for several months excavating and preparing the site. A few photos courtesy Marcus Garvey Park Alliance President, Connie Lee taken from the Acropolis.